Nursing is a very honorable and satisfying, yet demanding profession. While the rewards may include steady monetary compensation, a positive working environment, and the smiles of patients who have been attended to with exceptional care, it sometimes becomes difficult to cope with the pressures of the profession. As nurses are dealing with multiple patients who are ill and often have to quickly respond to emergency situations, it is very important for them to always remain energetic and refreshed, despite the time of day or number of hours left in a shift. Extensive duty hours, speedy service, and the pressure to always be in a pleasant mood can take a toll on nurses and sometimes result in an overwhelming and overburdened feeling. While there may be no solution to the demands of the nursing profession, there is definitely a solution to the tiredness and lethargy of nurses all over the world. 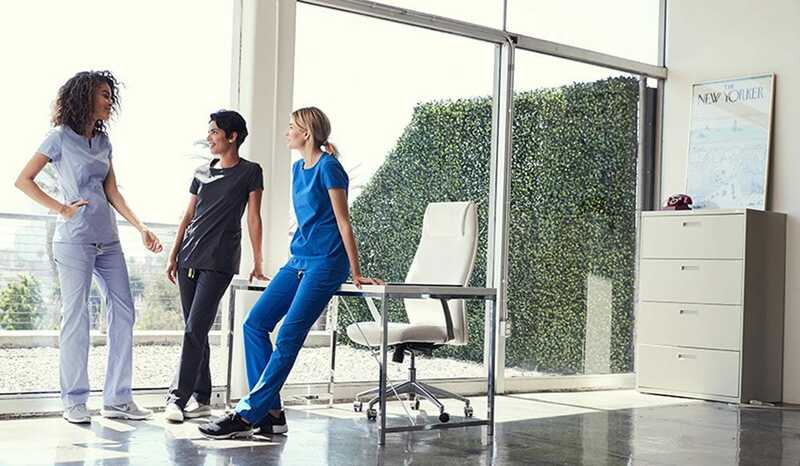 There are numerous ways that nurses can stay energized but here are the six ideas that nurses can consider to stay refreshed on the job, especially during long night shifts. Go outside and stretch your legs. Don't step outside while attending a patient or even when you are supposed to be looking after one but do take a quick breather whenever you can. Roaming around in the hospital environment can sometimes send your energy levels plummeting and watching patients rest during night hours can also make you feel like taking a quick nap. However, being a nurse comes with big responsibilities and you must remain awake and vigilant. Step outside for five to ten minutes whenever you are between patients or when it is okay to take a break. Breathing in the fresh air and walking around outside will energize you and wake you up. This is also a good way to stay healthy and happy. If you need energy on a day shift, taking in some Vitamin D directly from the sun is definitely beneficial. When feeling tired, many people rush to consume a protein drink or coffee, for that matter. However, while many people believe that these drinks can give you an uplift, they really don't. While coffee or a protein shake may energize you temporarily, it can bring your energy levels crashing down a few hours later. Extra sugar can be detrimental to your health and consuming too much coffee can result in burnouts after a while. Hence, both options are a big NO for nurses who want to efficiently get through their long duty hours. Want to know what to try instead? Try herbal green tea to keep you vigilant, awake, and fresh. Not only is it healthy but it is also very light and refreshing allowing you to consume several cups in a day. Your favorite tunes can take you a long way and can keep you upbeat and invigorated and enhance your memory and brain activity. However, do not plug in the earphones when you are on call but catch up on some soul-enriching music in small break slots or when you are sitting idle (make sure you keep an eye out for patients who may need you). Keep the volume low but sway to those beats that you love when permissible and you will surely remain energized during your long duty hours. However, refrain from listening to slow and sad music as this may cause you to feel sleepy or put you into a lazy trance. No time for that, right? Try downloading a few of the songs that make you feel like dancing to the tunes and you are all set for the day. Engage your patients and colleagues in an interesting conversation. Talking about monotonous things can bore you and will make you feel drowsy. However, engaging in a productive conversation is a definite way to keep you energized. You know how you are so eager to continue that chat you were having with a friend on Facebook and you didn't even realize how much time you spent talking? That strategy can work for nurses as well when they are working long shifts. Simply begin a fruitful conversation with one of your colleagues and continue it whenever you both catch quick breaks or you can use your phone to contact a friend. The anticipation of a response is likely to keep you energized and will allow you to work efficiently. However, don't become engrossed in your conversation and forget work! Playing a game does not necessarily mean that you have to pull out Monopoly or UNO in order to spend your time. While board games are probably not allowed on the job, you can definitely concoct a mind game and play with your colleagues while going about tasks. This can be a game like Guess Who? a quick stab at playing Charades, or a complete this sentence exercise. The more you use your brain and actively play something you are interested in, the more your spirit is likely to soar and you will then remain energetic. Be creative and make up your own games. You can also play this with children in the hospital you work at or other patients. It can make their day and give them something to do too! Exercise regularly for long-term energy benefits. No, this does not mean that you have to jump onto a treadmill and begin your exercise regime. You can simply run up and down the stairs for a boost or take a walk around the hospital. You can also get in a few stretches when nobody is looking. The pros? It can help you burn off a few calories if needed and will keep you fit and energetic. The cons? There really are none if you do it the right way. However, make sure you only exercise enough to feel energized and uplifted rather than exercising too much and tiring yourself out. Drink plenty of water as H2o is the perfect refresher and you certainly can't live without it! Following these six ideas can help nurses properly fulfill their high priority role and have a very rewarding and fulfilling career. It is important for them to look after their health and energy levels while attending to the health of others and one way for them to remain healthy is by being happy and energized all day and every day! Kamil Riaz Kara is a Inbound Marketer and HR Professional. He has completed his masters in Administrative Science from the University of Karachi. Currently, he is writing about mental health, fitness and lifestyle. Visit his company blog and check latest post on mixed dementia. Connect him on LinkedIn for more details.